I saw on wikipedia a mention of "combo tee" and "tee wye" is there a difference or are they the same? I've also heard of something called a "sweep" or "long sweep" is that related here? The combo tee has a longer sweep. Long sweeps are easier to run a snake through and drain better as the water path is gradually changed (if you have the space to use them). 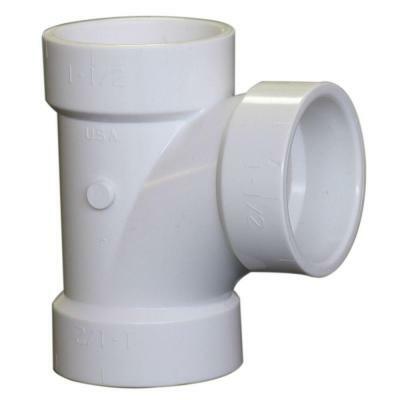 This is a sanitary tee and can only be used as shown in the vertical orientation. They are only used to go from the horizontal to vertical plane. If used flat (horizontal) they are prone to clogging. You must use a long sweep or wye+⅛ for horizontal DWV. 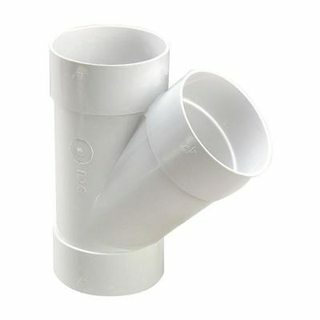 A sanitary tee is legal for drainage in the horizontal to vertical position, however it is legal to use a sanitary tee in the hotizontal position when used for venting. Not the answer you're looking for? Browse other questions tagged plumbing drain-waste-vent or ask your own question. 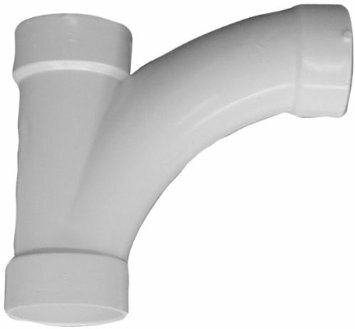 How do I vent a floor drain and toilet sharing a common drain on the second floor? Are toilets supposed to be caulked to the floor?